The award recognizes an individual who has demonstrated exceptional leadership and vision in developing and implementing innovative concepts to improve and enhance the state of legal education, and in advancing relationships and professionalism among members of the academy, the bench, and the bar within the legal profession in Virginia. Justice Lacy was nominated by former Governor Gerald L. Baliles. The award was established in 2012 to honor former Virginia State Bar president and founder of the Education Section, William R. Rakes, a senior partner with the Roanoke firm of Gentry Locke Rakes & Moore. The award is to be presented June 12, 2014, at the Virginia State Bar’s annual meeting in Virginia Beach. Justice Lacy has served the legal profession as a lawyer, teacher, and judge for decades. She was appointed to the Supreme Court of Virginia in January 1989 by Governor Baliles and was elected to a twelve-year term by the General Assembly later that year and re-elected in 2001. She became a senior justice in 2007. Before joining the Court, Justice Lacy served as a judge on the Virginia State Corporation Commission, as a deputy attorney general in Virginia, as a legislative aide, in the Texas office of the attorney general, and as a staff attorney with the Texas Legislative Council. She also has been a teacher, first at an elementary school in Austin, Texas, early in her career and now at the University of Richmond School of Law. She has been a jurist in residence at Washington and Lee University, Georgetown University, Southern Illinois University, and Florida State University. Justice Lacy received a B.A. in History from Saint Mary’s College, Notre Dame, Indiana, in 1966. She received her law degree from the University of Texas Law School in 1969 and her Master of Laws degree from the University of Virginia School of Law in 1992. 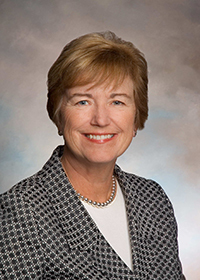 She has served on dozens of boards and committees in Virginia and across the country. She is now on the American Bar Association Task Force on International Trade in Legal Services; the Saint Mary’s College Alumnae Board; the Virginia Law Foundation; the Saint Mary’s College Board of Trustees; the ABA Presidential Task Force, 20/20 Vision; and the Virginia State Bar Section on the Education of Lawyers and Litigation Section Board of Governors. She is a member of the ABA, the American Bar Foundation, the National Association of Women Judges, the Virginia Bar Association, the Virginia State Bar, the Texas State Bar, the Texas Bar Foundation, the Virginia Women Attorneys Association, and the Lewis Powell Inn of Court. Lacy and her husband D. Patrick Lacy Jr. have four children: Patrick, Kevin, Michael, and David. Nominations are invited annually by the board of governors of the Section on the Education of Lawyers. The award is underwritten by Gentry Locke Rakes & Moore.